The new GNN XB-52DL is the perfect balance between weight, load capacity, and super low-profile height. These ball head specs are unmatched in the industry. 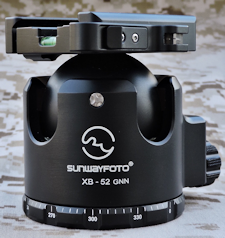 Shadow Tech redesigned the the Sunwayfoto XB-52 thus creating the GNN Series. The GNN XB-52 is lowered by machining off the neck of the ball head. 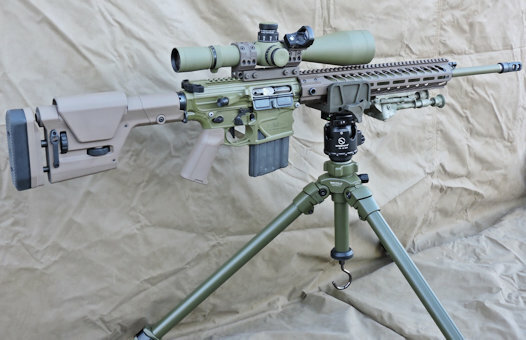 This reduces damaging stress/leverage to internal parts, increases stability due to lower center of gravity, and still allows for 24 degrees of elevation adjustment and approximately 50 degrees of vertical travel total. 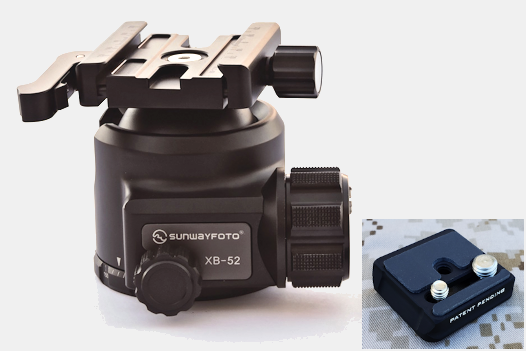 The Sunwayfoto GNN XB-52DL Low-Profile Ball Head with Duo-lever Clamp is based on XB-52 and replaced the Screw-Knob Clamp with DLC-50 Screw/Lever Combo Clamp. The screw knob side is for adjusting the width of the clamp, and the lever side is for locking the clamp quickly. 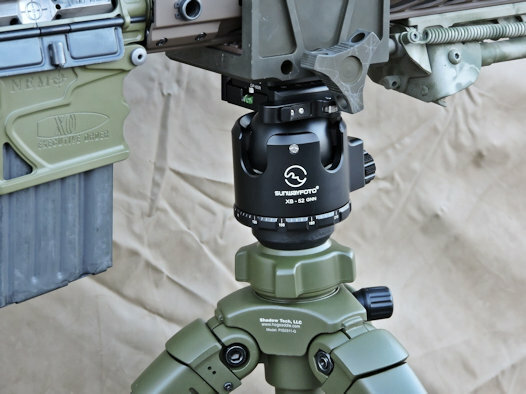 The XB-52DL Low Profile Ball Head is the larger of two ball heads in the XB line of low profile ball heads from Sunwayfoto. It features a very low center of gravity, very high load capacity of 132 pounds and improved ball head design for smoother movements when changing position. It includes the two-drop-notch design for camera orientation and weighs only 1.60 pounds. The GNN XB-52DL is shorter, therefore increasing stability and reducing damage to the ball head.